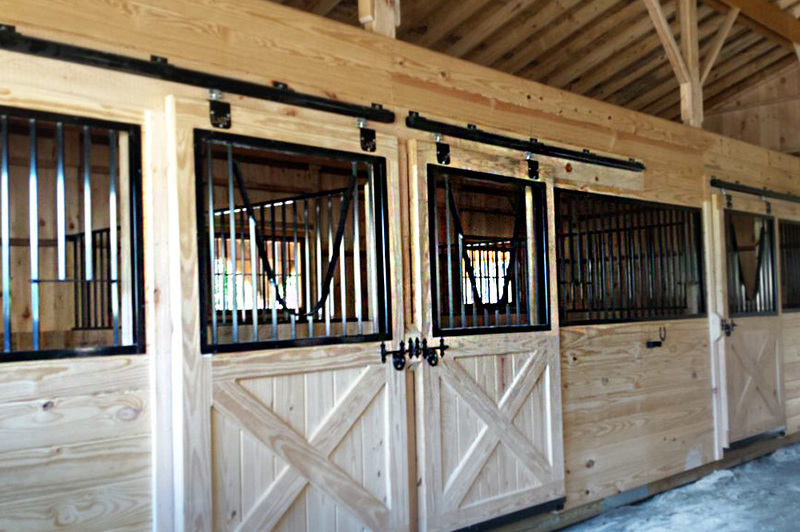 Low-profile horse barns are a popular choice due to their gorgeous style and the practical benefits they offer. J&N Structures’ Trailside Barn is a standout example of a gorgeous looking low-profile barn that is packed with advantages. 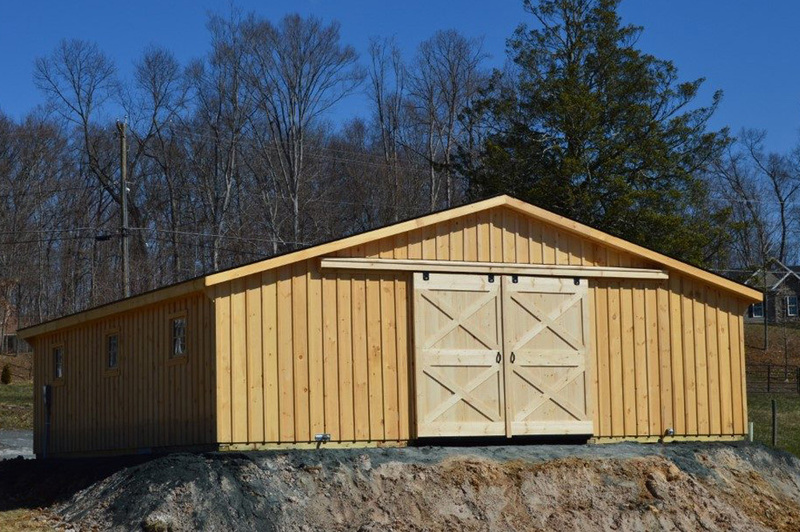 While ALL modular barns are less expensive and easier to install, these barns are known for being especially convenient and budget-friendly. 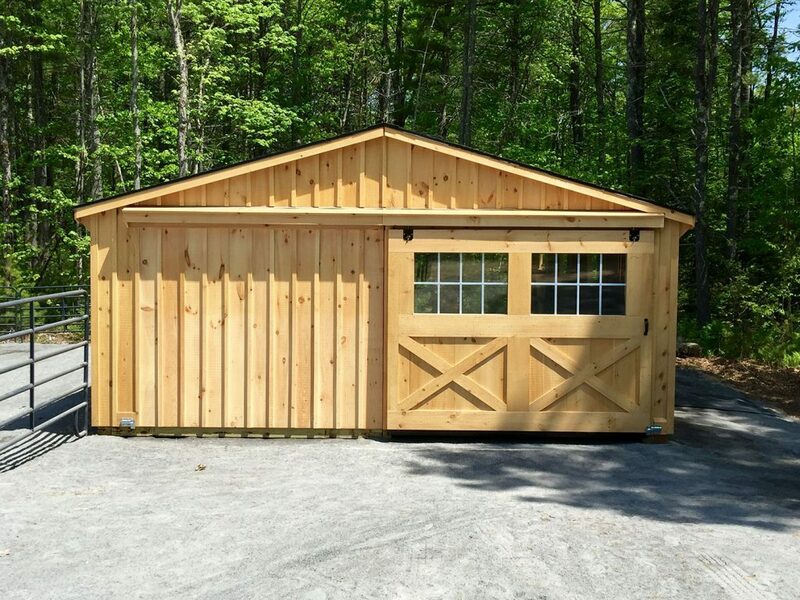 Plus, from every storage shed to every garage and barn, J&N buildings have a distinct style. 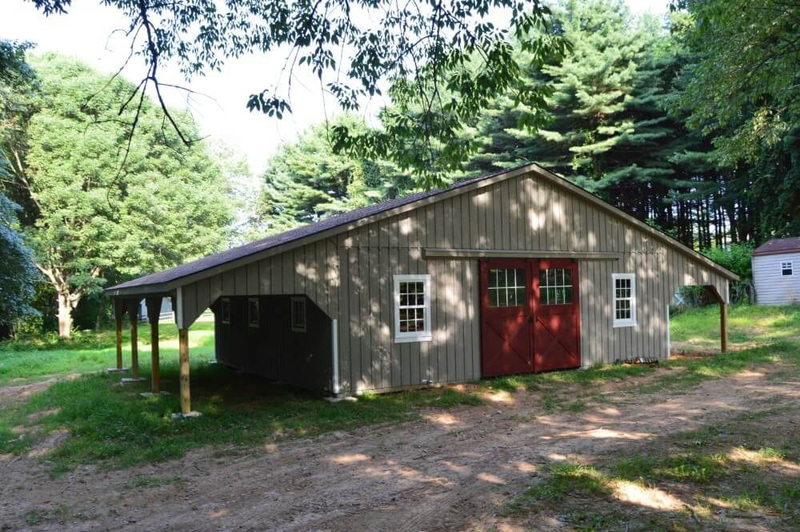 The low-profile Trailside Barns are no exception. 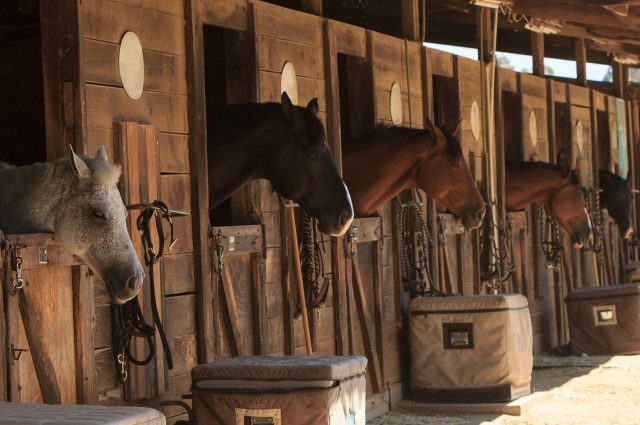 Learn more about the 5 advantages that make low-profile horse barns one of the most practical choices — and see our gallery of gorgeous Trailside-style barns. 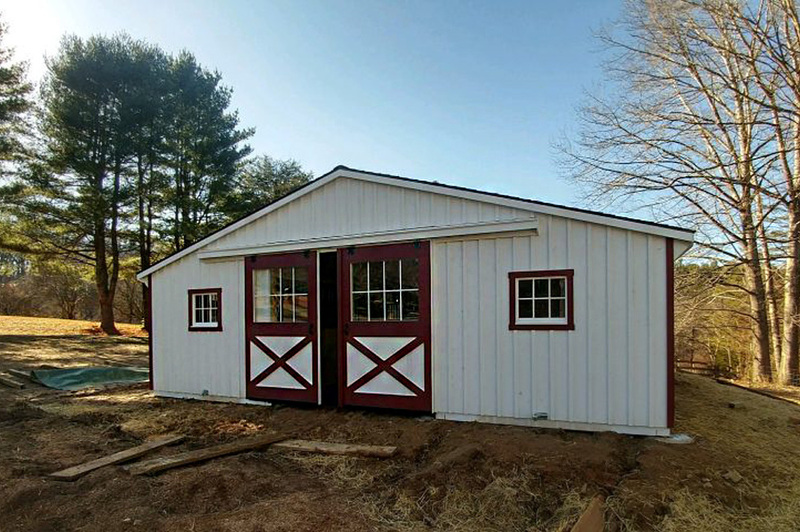 Whether you’re just entering the equine scene and building your first barn or you’re upgrading an old structure that no longer meets your needs, a low-profile horse barn is definitely a style to consider. 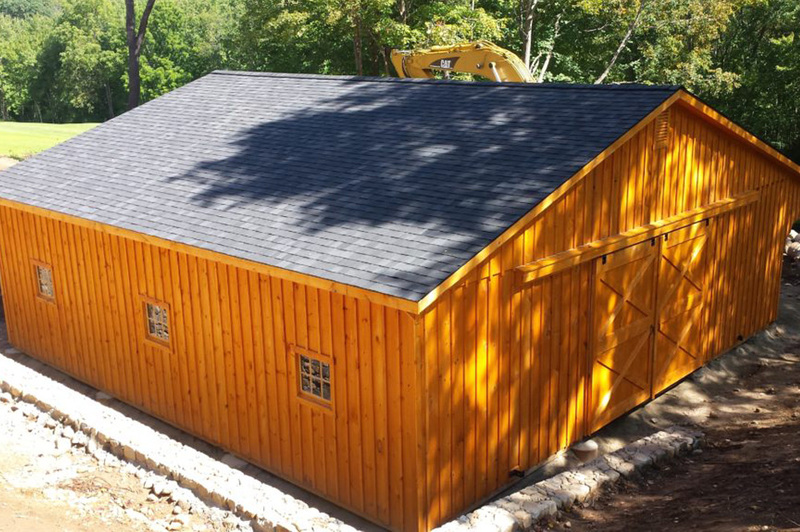 Here’s why this style is a great starting place when planning a custom barn. The most affordable center aisle barns — Center aisle barns offer two rows of stalls and convenient access to everything you’ll need. While shed-row style barns are less expensive, the benefits of a center aisle barn can make it essential. If budget is important to you, low-profile horse barns are the most-affordable center aisle barn on the market. 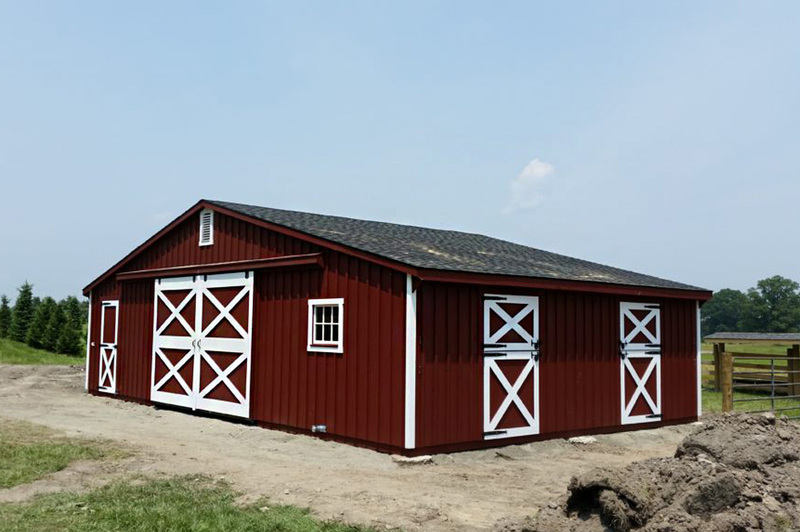 Quicker turnaround after order is placed — Compared to larger two-story modular barns, J&N’s Trailside Barns can be built quicker. This is the result of these low-profile options having less individual sections to be built by our craftsmen. 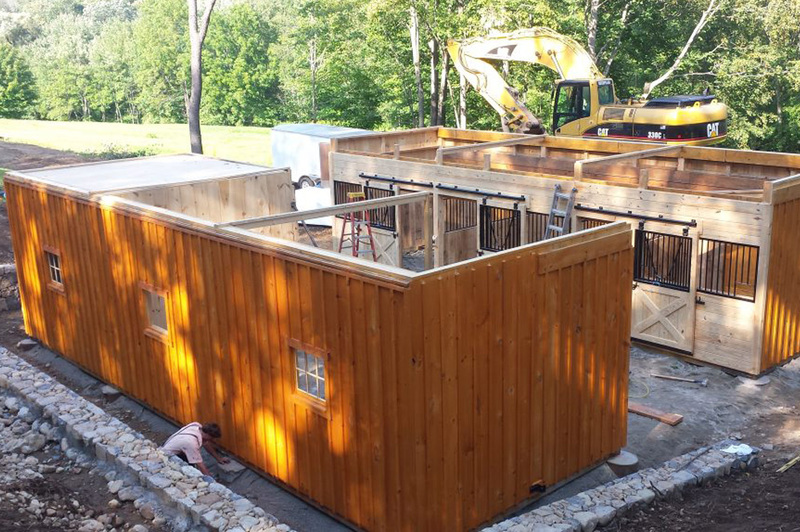 Minimal on-site setup time — Not only is this style barn quicker to build in our workshop, a low-profile horse barn is quicker to assemble on your site. 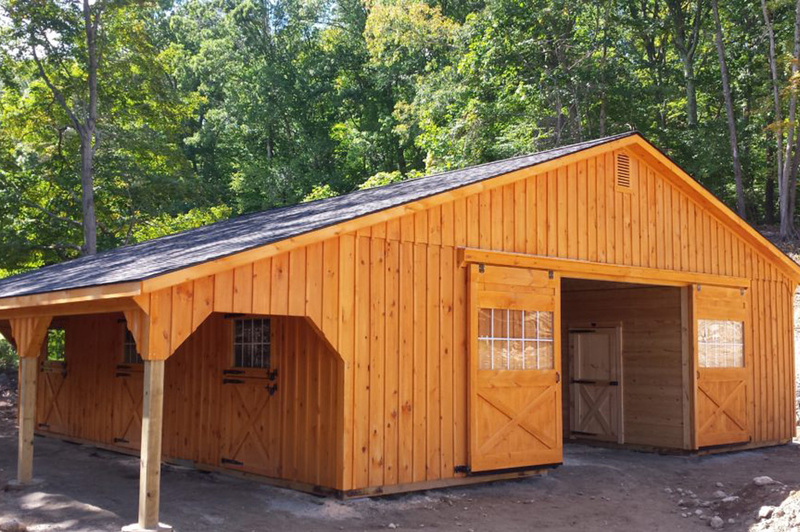 This means that if you choose a Trailside horse barn, you’ll be enjoying your fully-completed project as soon as possible. Perfect for future additions to your farm — If you’re only beginning to grow your farm, a low-profile barn is a great first addition. The simple construction style can be further customized, and the budget-friendly price tag means that you’ll have the resources to continue investing in your property. Distinct Rustic Charm — In addition to all of these practical advantages, low-profile barns possess a distinct rustic beauty. 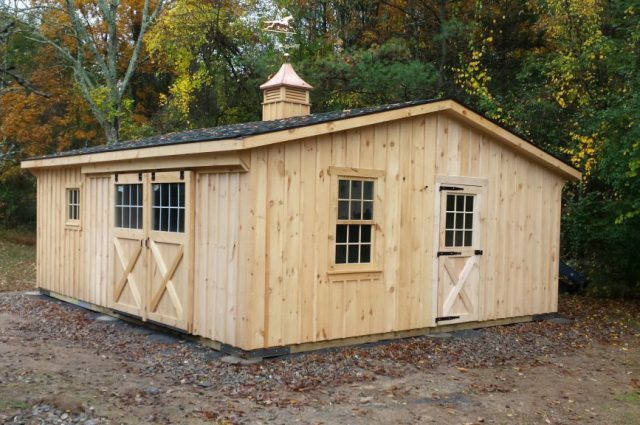 Available with a wide range of custom touches, these barns can enhance your property. See our gallery of gorgeous Trailside Barns. 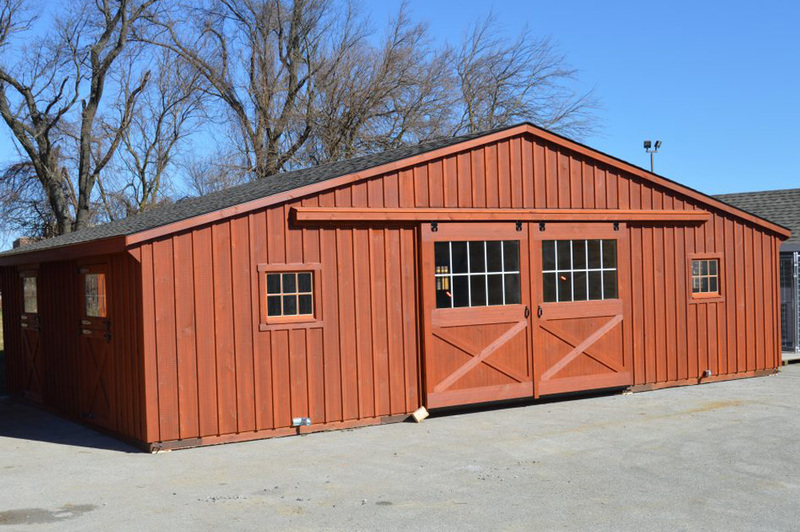 You can find barns, garages and sheds from J&N Structures all across the country. 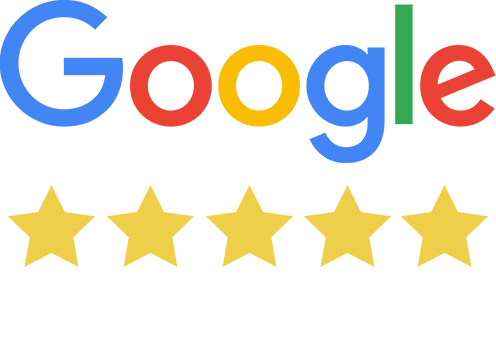 We’ve enjoyed our success because we build extremely high-quality custom modular barns and buildings. While our buildings dot the landscape in many different states, our craftsman build our barns in Lancaster County, right at the heart of Amish Country. 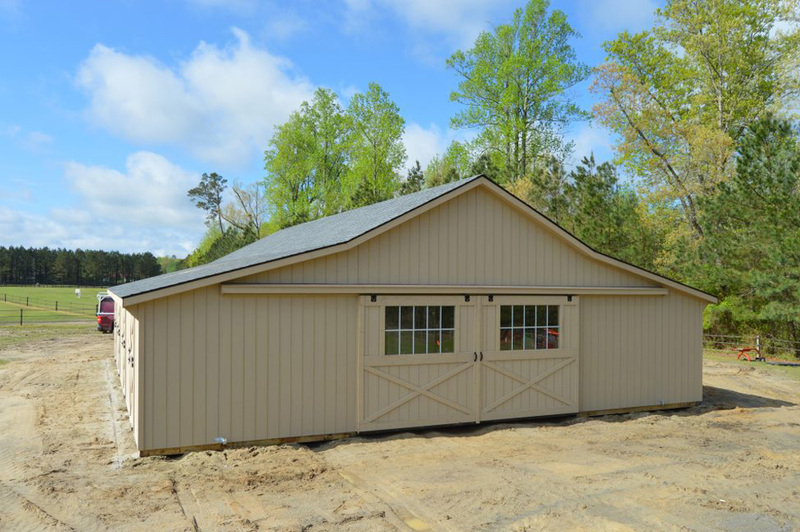 Whether you’re buying a storage shed or a full horse barn, you’ll appreciate the way our timeless craftsmanship combines with our 21st century modular technology. Because of this, we can build extra durable structures, at a good price, in far less than time than traditionally built barns. 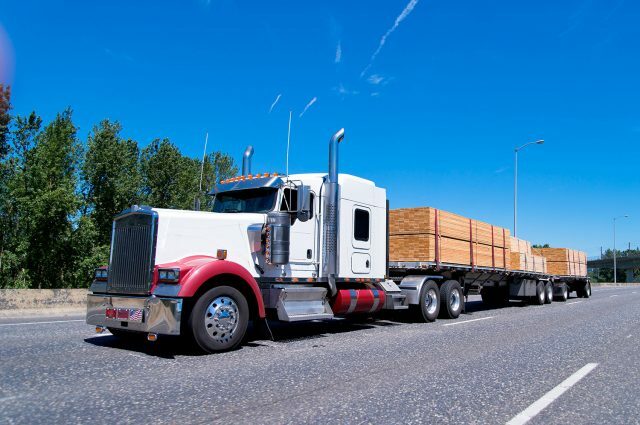 We sell all of our modular structures through our dedicated dealer network. If you’re interested in learning more and getting your quote, enter your zip code and find your nearest dealer!